Slow down, eat and enjoy experiencing a new culture. Challenge your taste buds and try something new! 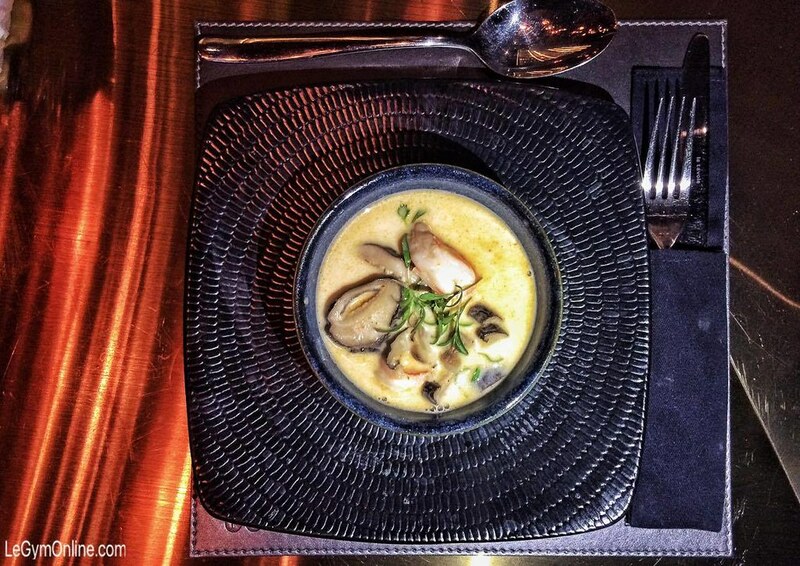 If there was a mission statement for Secteur’s Gourmet Nights I think the above would be it. The majority of the “foreign” cuisines available in Lebanon are Italian, Sushi, American, and some commercialized Asian food. But if you want to have some Iranian/Persian Tahdig, Vietnamese Pho Soup, Peruvian chicken, or Brazillian Churrascaria sorry – but you’re out of luck! 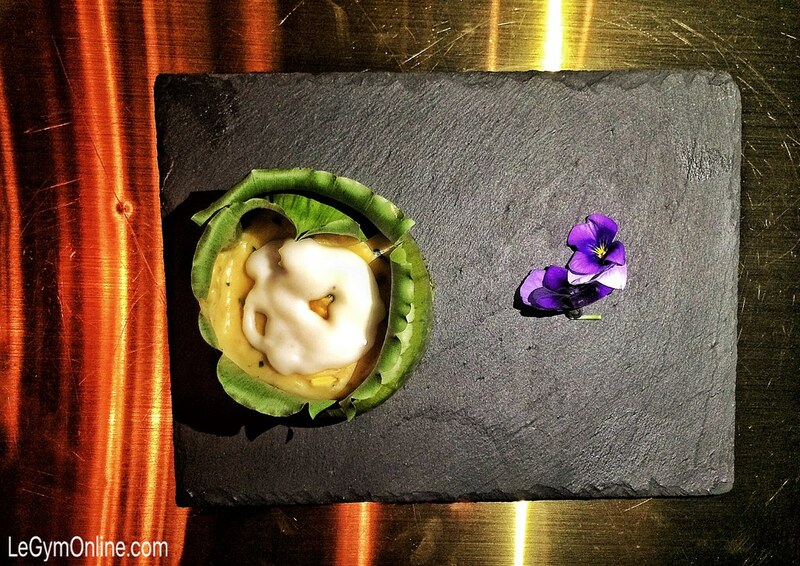 So in a country where there is some diversity in the food culture, but not a lot – a weekly event like this Gourmet Night series is a heaven for true foodies! Chef Hadi of Fusion Cult swoops in each week and takes over the kitchen at Secteur and shares his love for food. Each Wednesday evening they present an entirely NEW cuisine and a multi-course menu featuring traditional dishes from that cuisine. At Le Gym any time someone is using real food to create a great meal – as opposed to fast food places – we approve! 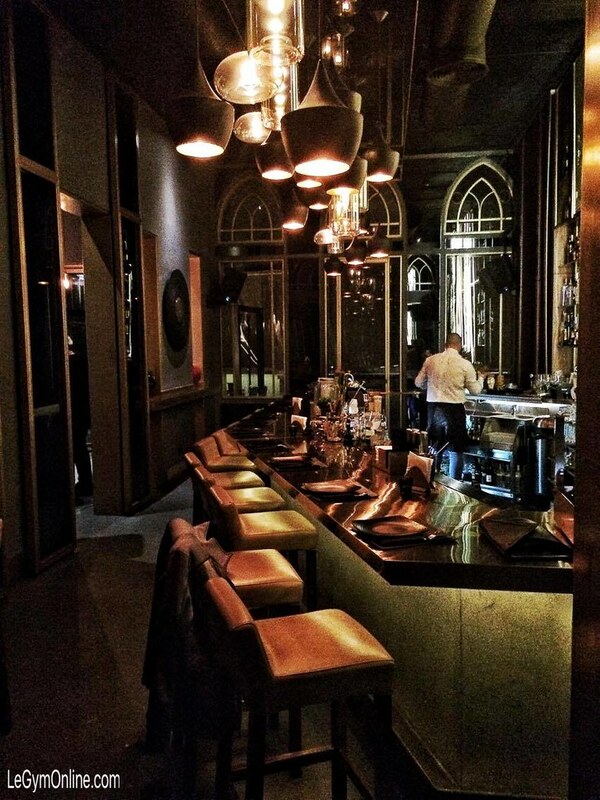 Chef Hadi and Secteur are going a step further and creating an experience around the meal, making people take time in between courses, fostering an atmosphere to experience new tastes and flavors and really enjoy their meal. Taking time to eat and being mindful of what you’re eating is always better than grabbing junk food from the corner market and mindlessly eating! So check out the 7 amazing traditional Thai courses we enjoyed below and then book your spot at their next gourmet event! Maybe we will see you there! 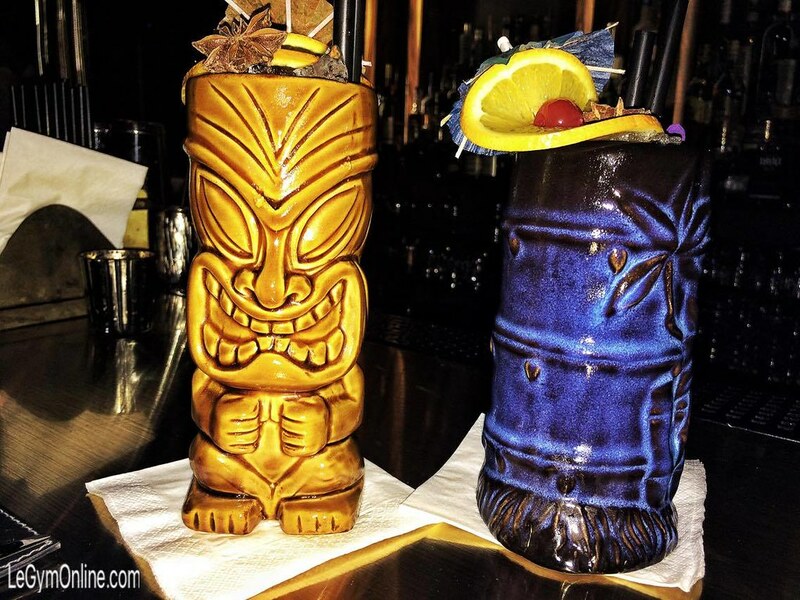 Drinks of the night! Mai Tai (virgin for me) – Appleton Estate 12yrs, infused lime leaves with a secret ingredient, homemade orgeat syrup with vanilla sticks, orange curaçao liquor. 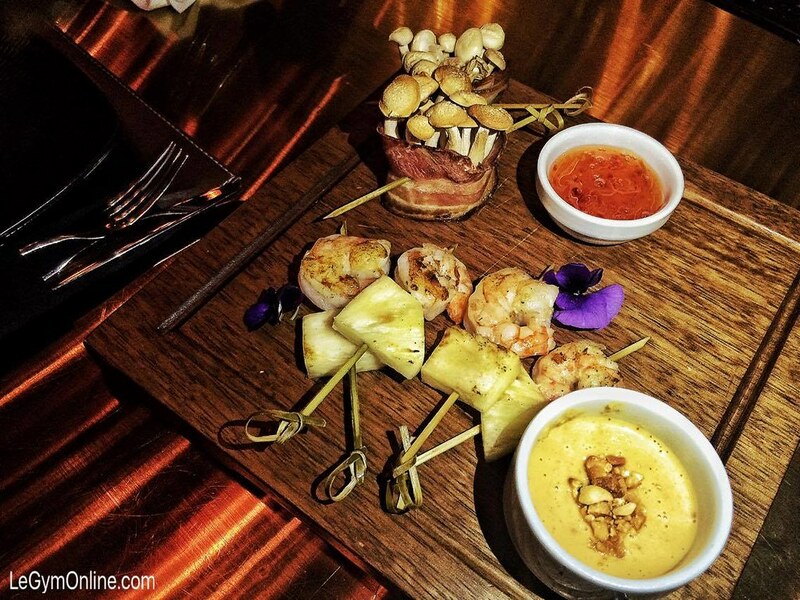 Kaeng Khua Saparot (grilled thai prawn in pineapple curry) and Shimeji Mushroom bacon wraps. The shrimp were cooked perfectly, curry was excellent and the mushrooms were a new experience for us but we loved them. So creamy! 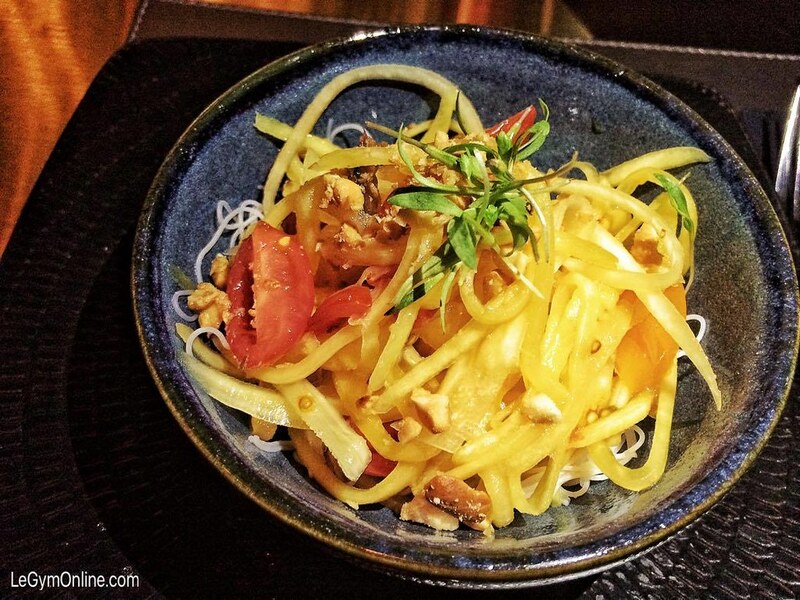 Som tum- salted crab green papaya and mango salad. The salted crab was used more as a condiment to add flavor, but this was really the start of the night. It was the perfect balance of all the flavors and textures. A dish that we could easily eat by the kilo! 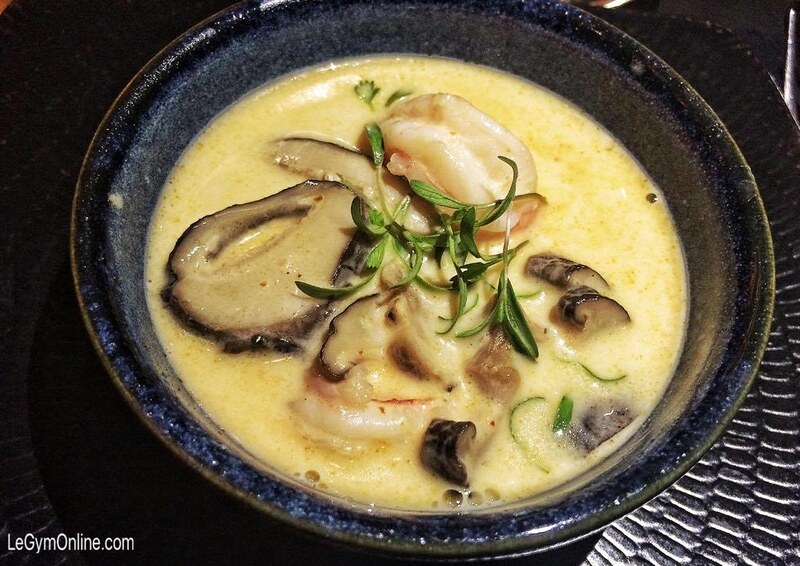 This soup is Robert’s favorite soup that he always gets at Thai restaurants. The shrimp again was cooked to perfection and the lemongrass flavor was very subtle. This was the most unique dish of the night! Hor mok – steamed grouper in banana leaves. It was more of a fish cake/custard with a strong lemongrass flavor. The presentation was gorgeous. 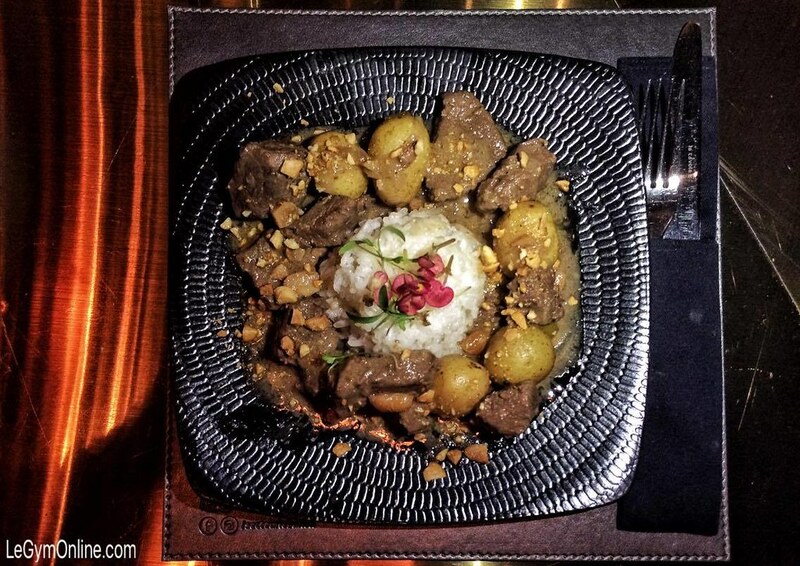 Massaman curry – beef curry with steamed jasmine rice. I don’t know how but every protein cooked this evening was cooked so that it would melt in your mouth! Chef Hadi certainly knows how to cook his proteins! Finally, dessert! 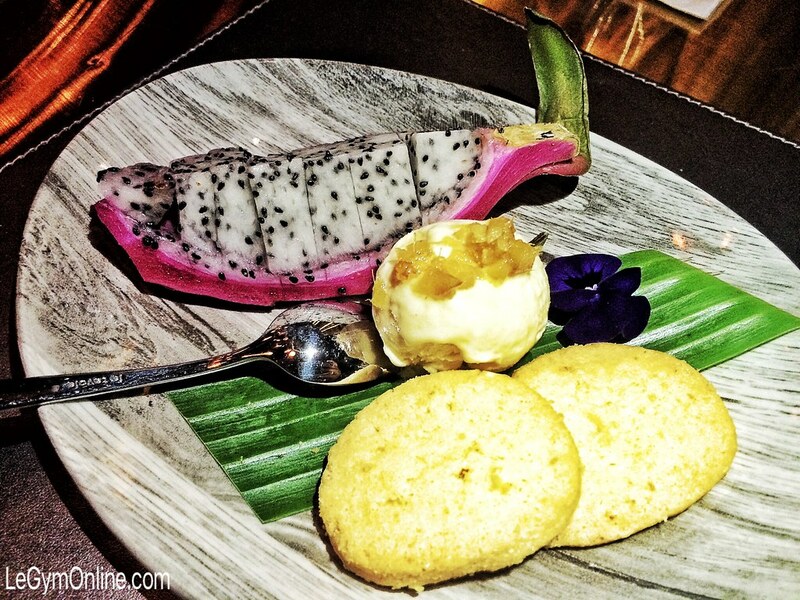 Dragon fruit with ginger ice cream and a few shortbread cookies. The ginger ice cream was topped with some candied ginger which was too strong for me but Robert loved it! It was a great ending to the dinner. Next articleWin Movie Tickets – Premiere of How to Be Single! See how amazing he is!? I’m glad you and Robert got to try out his cuisine, especially in the context of Secteur Gourmet. We’ve tried Peruvian and Moroccan and can’t wait till the next! It WAS amazing! The location is great too!